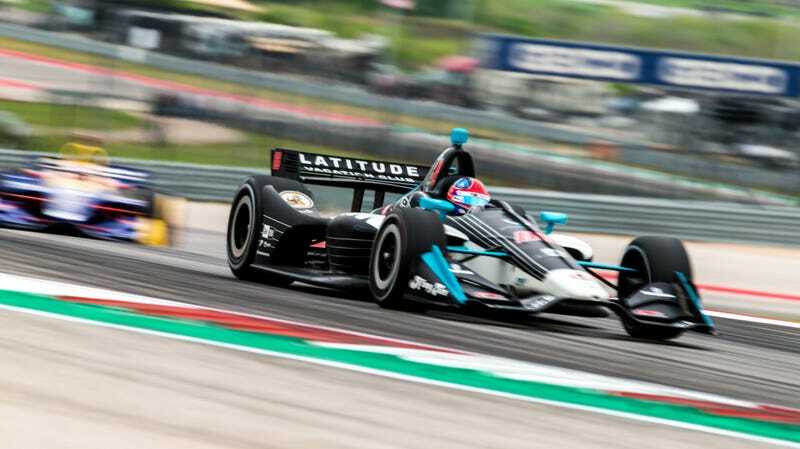 IndyCar race winner Colton Herta on track at Circuit of The Americas. With the conclusion of IndyCar’s first trip to Circuit of The Americas in Austin, it’s only natural to wonder how the series compares to open-wheel racing’s international giant, Formula One, which also races there. It isn’t logical or scientific, but it’s hard not to have a strange curiosity. IndyCar’s recent test at COTA gave us an idea of the differences between the two series, which were big—about 14 seconds around the 3.4-mile track, last time we checked in. But with the race wrapped up and Colton Herta as the track’s first IndyCar winner, we have a bigger, clearer picture of how the two compare. Just so we’re clear from the outset, let’s look at how these two types of race cars are different. IndyCar runs a Dallara chassis, between 550 and 700 horsepower, and the cars weigh about 1,630 pounds without fuel, a driver and other contents inside on road and street courses. F1 cars like the dominant ones from the Mercedes team can reach closer to 1,000 HP, and the car weight limit for 2019 is about 1,455 pounds without a driver. 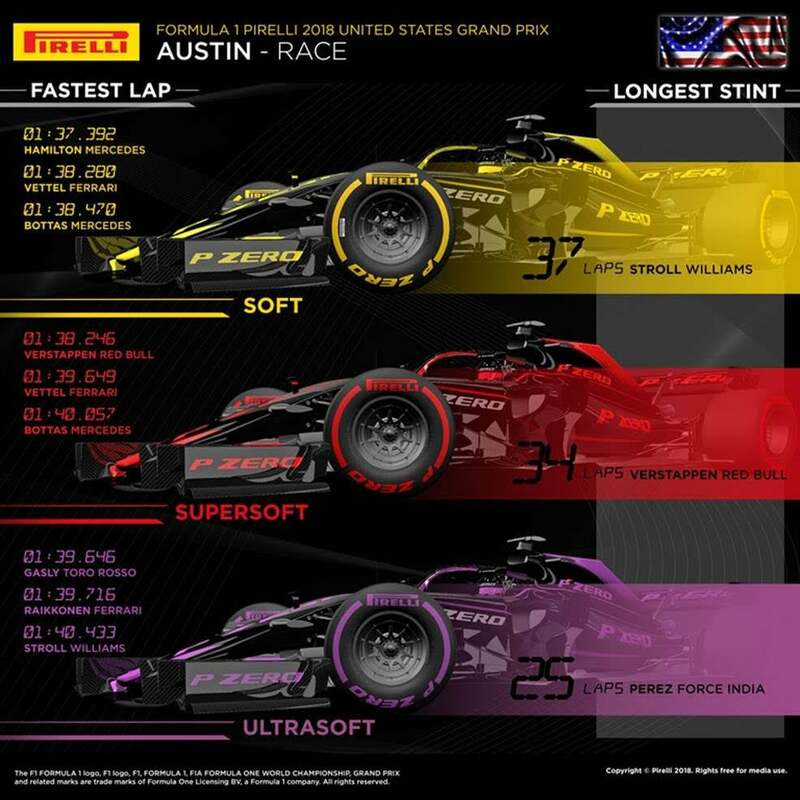 F1 also has new aerodynamic regulations for 2019, so we won’t see exactly how the new cars perform at COTA until later this year. It doesn’t stop there, though. The two series have huge budget differences, with NBC Sports reporting in 2013 that the Ferrari F1 team’s estimated annual budget was $470 million compared to a top team budget of $15 million in IndyCar. The top expenditure on race cars in F1 that year was $125 million, compared to $3 million in IndyCar. And, of course, that was six years ago. All speeds in mph. Data: IndyCar qualifying results, F1 qualifying results, IndyCar race results, F1 race results, Pirelli tire breakdown. Aside from sheer curiosity, these numbers don’t matter much. That’s because in addition addition to all of the vast differences between IndyCar and F1 as series, the cars are their own breeds—something that’s easy to see by just looking at the bodies. All things considered, budget especially, IndyCar isn’t slacking. When F1 does get to the track, its drivers likely won’t be able to loosen up as much as competitors did over the weekend—IndyCar didn’t enforce the same track limits as F1 does at COTA, allowing drivers more room to race. Even the speeds and lap times alone, as anyone curious about this comparisons likely already knows, are completely unscientific. When it comes to race cars and tracks, a slight difference in temperature, track surface, tires and overall environment can alter lap times significantly, meaning there really are no constants—integral parts to any study. The only real way to see the exact differences between the two series’ cars is to give them the same track rules to abide by—which should be no track limits, obviously—and put them in the same, calculated environment, which could only really be done in a simulation. But a more accurate, scientific simulation could have been carried out without IndyCar adding Circuit of The Americas to its schedule in real life. And, if we’re honest, where’s the fun in that? Clarification: Monday, March 25, 2019 at 4:51 p.m. ET: This story has been clarified to remove a reference to the two series being in the “same ballpark,” the result of a miscommunication in edits.